How Does MST Work with an Individual Offender? Because Multisystemic Therapy (MST) draws the whole family and community into the treatment, some people think the teen with the unacceptable behavior gets no individual attention. Nothing could be further from the truth. To answer those questions, you have to understand the treatment, its principles and processes. So start at the beginning, and remember that MST is grounded in empirical research. This research consistently demonstrates that youth do better in treatment and maintain gains when families are actively engaged in the treatment process and interventions touch their total environment. Something else that might confuse those not familiar with MST is that it works from the outside and moves inward as opposed to starting inside and moving out. So what does that mean? Picture a set of Russian nesting dolls. They are best understood when you take them out, examining the interplay the outside doll has with all the others inside. Notice how the individual pieces fit together. Looking at one doll only gives a portion of the picture. A young person’s behavior can be understood similarly. In MST, we start by looking at all the systems that surround the youth. How these systems interact helps us ascertain how the young person’s behavior “fits” (or makes sense) in the natural environment. This understanding supports the MST Theory of Change, with the goal to help caregivers gain the resources and develop skills to make an impact on what surrounds their child. By working with families to leverage their strengths and shifting those systems, we set off a ripple effect throughout the youth’s ecology. Katrina was a 13-year-old who lived with her father. She was correctly diagnosed with attention deficit hyperactivity disorder (ADHD). Katrina was impulsive in the classroom (bothering others, not completing tasks, insulting her teachers) and displayed aggression in school and the community (threatening and assaulting her peers). At the start of the MST treatment, the therapist worked with Katrina and her family to determine the strengths and risk factors (needs) in Katrina’s ecosystems. The therapist quickly realized that Katrina’s father working part time was a strength. This gave him time to monitor his daughter’s whereabouts. Other strengths were the positive peers she could spend time with and her supportive grandparents living nearby. And then there were the risk factors. Katrina did not take her prescribed medication. She had low impulse control. Dad didn’t set rules, rewards and consequences. The family and school didn’t communicate effectively to improve her behavior. Where does a therapist begin? After getting familiar with the situation, the MST therapist works with the family to develop a “fit” assessment of each chronic behavior. The “fit assessment” is the tool used to make sense of the identified problem in the broader context (MST Principle 1). Priorities are then set to make the most immediate impact. It is this prioritization that really determines what types of interventions will be used. In Katrina’s case, there were various ways the therapist could precede. Knowing that the girl wasn’t taking her prescribed medication, the therapist and family focused on getting her to figure out why. Looking at it from Katrina’s perspective might reveal that she was embarrassed by the medication, believing it made her “stupid and different from her peers.” If that were true, the therapist, dad and Katrina would concentrate on replacing these notions with more helpful ones—the goal being to get the girl to realize the medication was good for her. The therapist would be working with the youth on individual factors (her unhelpful thinking and feeling). Simultaneously, the therapist and father might set up a behavior plan (ecological intervention) that included rules. One might be that if Katrina takes her medication daily, she would receive a reward. In addition, the therapist and the family might look to communicating better with the school (ecological intervention). Therapist, father and school could help Katrina develop skills to stop and think before acting (individual intervention). By working together, the family, school and Katrina would be addressing individual and systemic factors on the fit assessment. For MST, the individual youth is an essential part of the treatment process. His or her desired outcomes are key to helping us create goals. How they view their strengths and needs is critical to us understanding risk and protective factors. Their active participation in sessions helps us assess the effectiveness of plans—and much more. 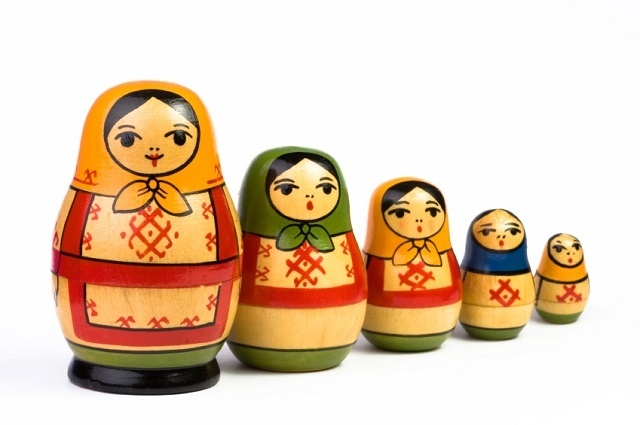 The next time you are asked if MST works with the young person, remember the Russian nesting dolls, and say “yes." All components are essential to the success of the MST treatment. How each individual youth and family receives treatment in MST is, however, uniquely guided by their individual strengths and needs and the MST “fit” assessments process.